We were asked to repackage for Design and Branding class, taught by Kevin Brainard at School of Visual Arts, MFA Design. IMADA's Red Flower Oil is an old Chinese remedy, used as a pain reliever for backaches and sore and stiff muscles. 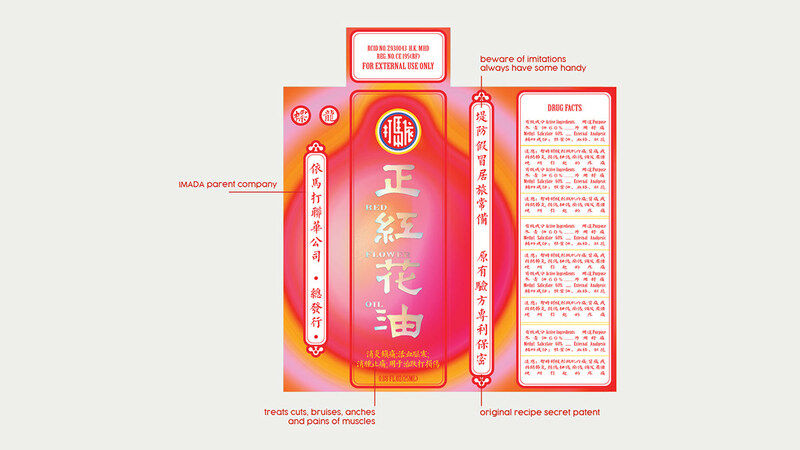 Made from the most valuable medicinal plants in China. 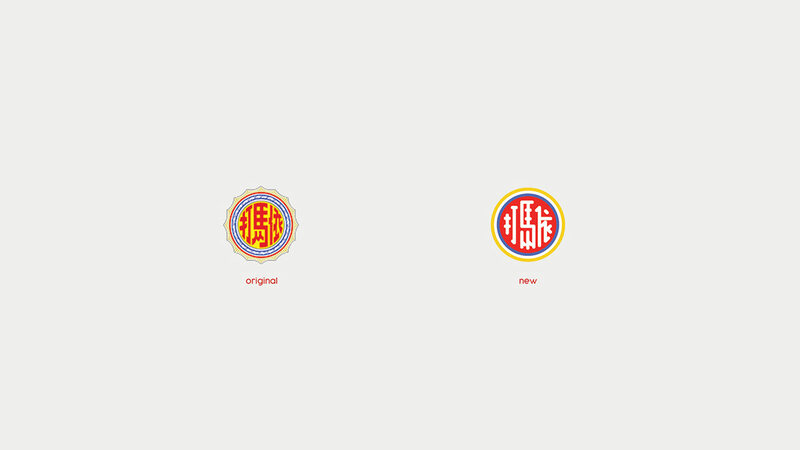 In my design approach, I merged traditional Chinese visual language with contemporary neon gradient and a magic oil shape to create a fresh outlook for IMADA's oil products. We were asked to repackage for Design and Branding class, taught by Kevin Brainard at School of Visual Arts, MFA Design. 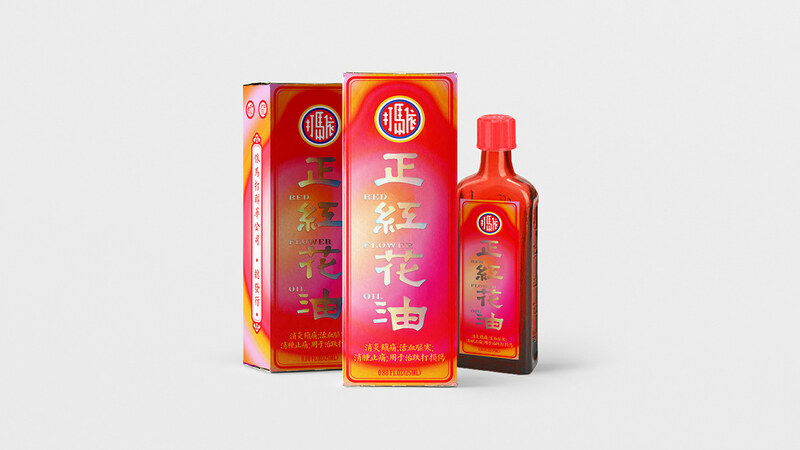 IMADA's Red Flower Oil is an old Chinese remedy, used as a pain reliever for backaches and sore and stiff muscles. 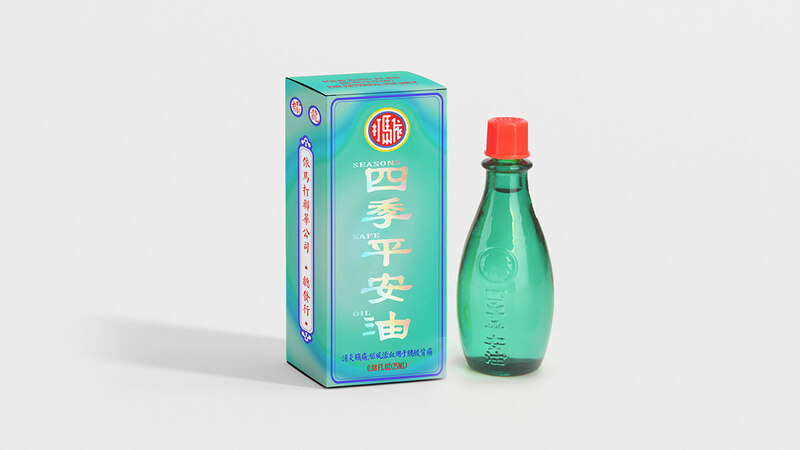 Made from the most valuable medicinal plants in China. 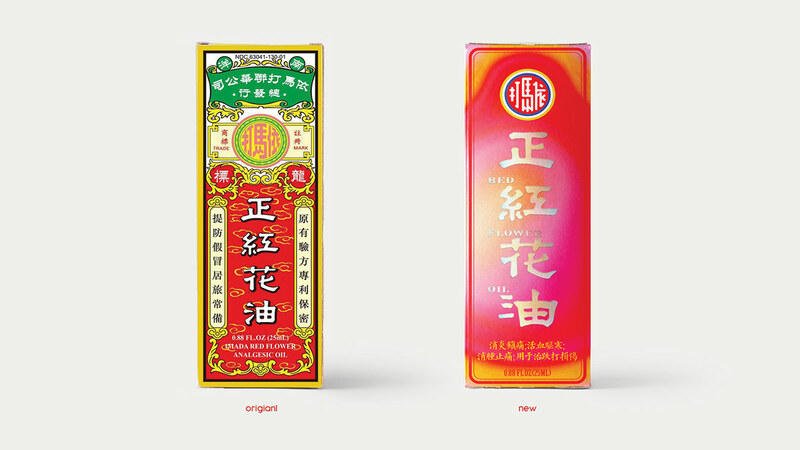 In my design approach, I merged traditional Chinese visual language with contemporary neon gradient and a magic oil shape to create a fresh outlook for IMADA's oil products.